I thought we could look at things in genre fiction that we can relate to in normal life. Using this as a starting point I think there are several things we can look at. The first of these things is family. The rigid structure imposed by Retra’s parents, or predominantly her father, is not something I have experience with and I have to say I’m glad. Having said that there are many who have. I can understand why being in a situation like that would seem unappealing and why with very little extra provocation, you would be willing to leave that behind. The other family aspect that is there, is Retra’s relationship with her brother. She was close to him before he left and now, with what appears to be nothing left to lose, Retra is more than willing to search him out on Ixion. So the question is then, would you follow a sibling to a party island? For me the answer would be more to do with what I was escaping rather than what I was going to. Which really is what Retra did. If she was happier in her home life she would never have run away. In that way my motivation would be similar to Retra’s I have never really had a desire to live in a world of perpetual parties and no rules. 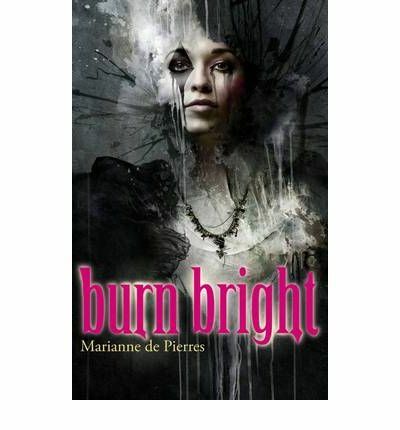 Which leads us neatly to another of the predominant themes in Burn Bright is – doing whatever you want. Party hard baby bats. It sounds really good, on the surface. No rules, no one to say no, no one to say don’t take that. Thing is a situation like that usually comes under the umbrella of ‘if it looks too good then it probably is’. Most of the baby bats embrace the Ixion lifestyle. They are swept up into hedonistic living. Do what I want when I want. Even so there are rules right from the beginning. Don’t go off the paths, make sure you get your rest at the right time and take the pills. They sound like some fairly restrictive rules to me. For these baby bats they are so swept up with the surface permissiveness that they fail to see what is right under their noses, just a little further under the surface. I think this is indicative of how some people want to live their lives. Party, party, party, with no thought to the consequences. You just need to look around you to see that that very rarely ends well. In this way then life and art are mirror images of each other. De Pierres has given us a world that appears fairly unique yet if you look a little under the surface then you see there are many mirrors to the world around us. With a book like this you can take it two ways. As purely an escapist piece of reading, and it fits that bill very well. I really enjoyed this book and it’s sequel. The other way is to scrape away the top and look at the mirrors and see what they have to say about the society in which you live. Being as this isn’t a lit class then I’d have to say I’ve probably done enough of that. Think what you will but me, I will continue to be cautious of those things that offer answers to so many desires. Party hard baby bats but be aware!